Supersonicsoul - The Sonics Blog! 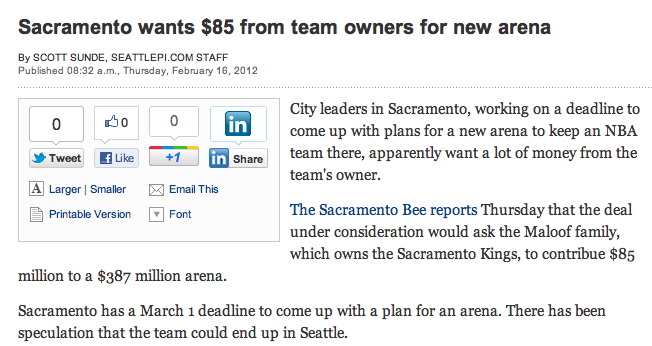 : Anyone have $85 to spare? Wow! Either an unpaid intern at the P.I. 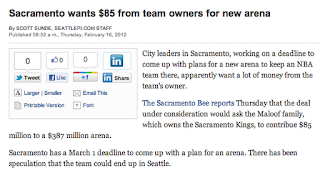 forgot to add an "M" on that headline, or new arenas are REALLY cheap in Sacramento! UPDATE: Three hours later and it's still not fixed. I am really the only person that still reads the P.I. ?